Although we just a Facility event, Cygames has given us yet another one! This time it looks to be Spring themed and will you facing Fire elemental enemies to upgrade a water based facility. 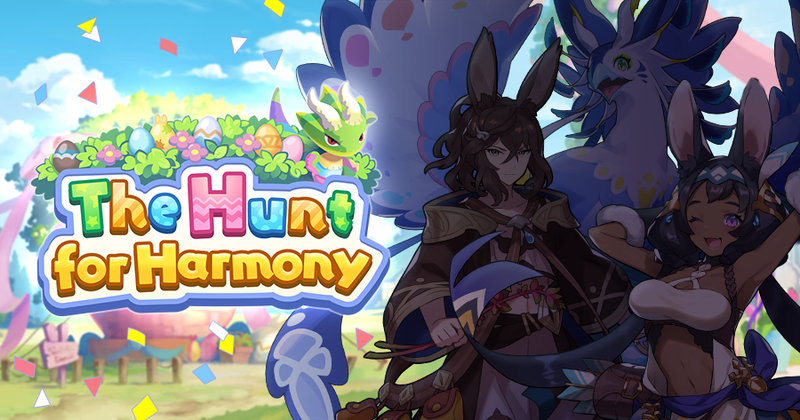 A new facility event, The Hunt for Harmony, will begin 11:00 PM Mar 30, 2019(PT)/6:00 AM Mar 31, 2019(UTC)! This event will pit your group of adventurers against bosses of the flame element. You’ll also be able to build an event-related reward facility for your Halidom! It’s time for the sylvans’ Vernal Banquet, where Rabbit-eared people from far and wide gather to celebrate. The main event is an egg hunt, and whoever collects the most eggs is granted one wish. As the prince, Sarisse, and Luca vie for the prize, Luca spots some familiar faces… It’s his childhood friends, also competing in the egg hunt! Who will collect the most eggs and win the competition AND a wish? 1. Players must have completed up to Chapter 2 / 2-1 (Normal) of the main campaign to participate. 2. Players must have completed up to Chapter 2 / 2-1 (Normal) of the main campaign in order to play co-op.